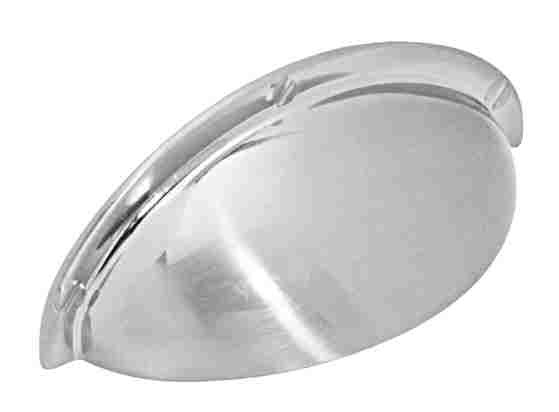 3 1/2 Inch Old World Style Cup Pull (Matte Nickel Finish) - Matte Nickel Old World Style. Center to center distance is approximately 2 1/2 inches (64 mm) with an overall length of 3 1/2 inches (89 mm). The width is 1 3/8 inches (35 mm) and this has a projection of 1 inch (25.4 mm). This item comes complete with mounting hardware.